This past weekend, I hosted a brunch for a group of close friends — I’d been looking forward to it for a month and a half! 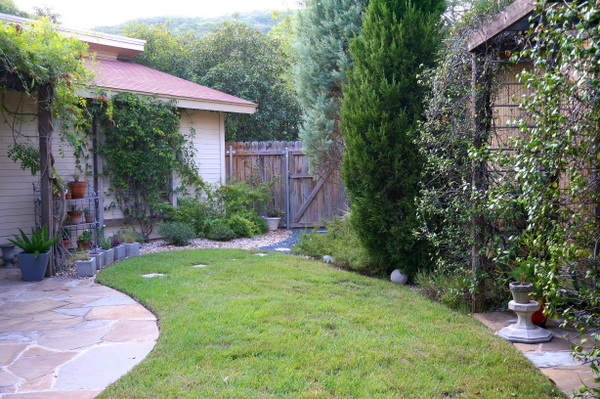 As I prepared for this end-of-summer gathering, I scanned my home and yard to see which areas needed improvement. Let’s just say…my yard required some help. After all, with summer temps reaching 100 degrees and higher, several plants had not survived, despite my watering efforts. And then there was the little plant that had been uprooted and carried away by a ground squirrel. Not to mention, the weeds were out of control! I realized that with fall on the way, now was the perfect time to do a little freshening up. 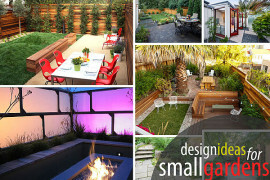 Today’s post is dedicated to the power of the late summer yard makeover. After all, cooler temps will be here soon, making outdoor dining a reality again (which is a big deal if you live in a part of the world where summers involve avoiding the outdoor heat as much as possible). 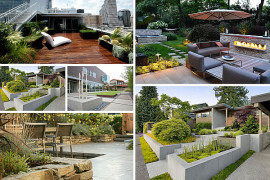 How do you make your yard hospitable for plants and people as fall approaches? 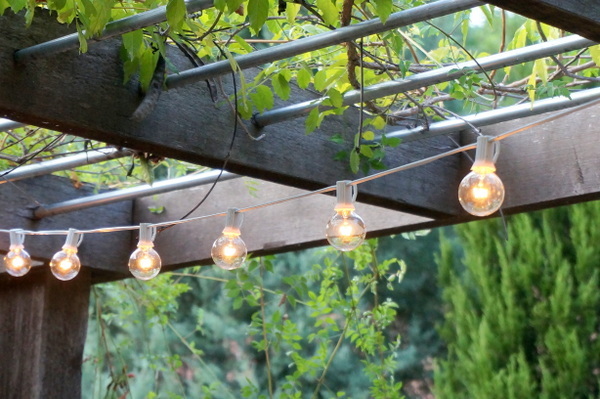 Today I’ll share some of my summer outdoor projects with you, but don’t forget to share your ideas as well by leaving a comment at the end of the post! I began my late summer yard update by assessing the area for problems. Our grass was green overall, but we’d worked hard to maintain it while being respectful of our city’s watering restrictions. The biggest issues in our outdoor space involved dead plants that needed to be cleared, weeds that needed to be pulled, and neglected areas that needed a little bit of freshening up. Also assess the overall health of your vegetation. 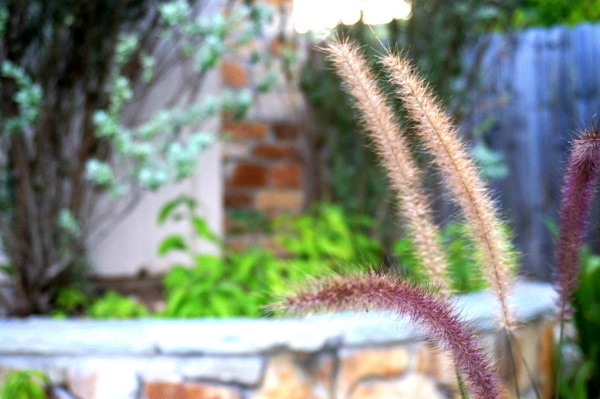 Are there nearby weeds that could interfere with the growth of your plants? 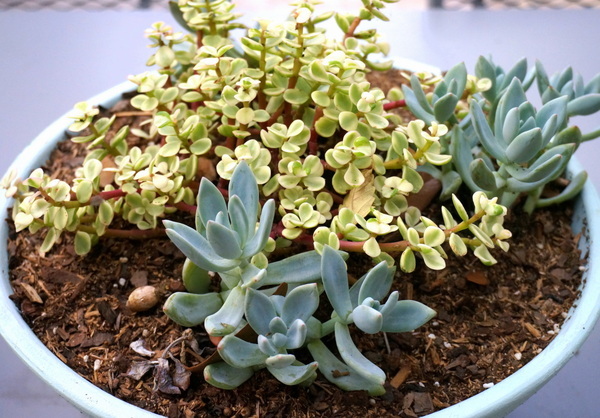 Are there potted plants that are not thriving in their location? 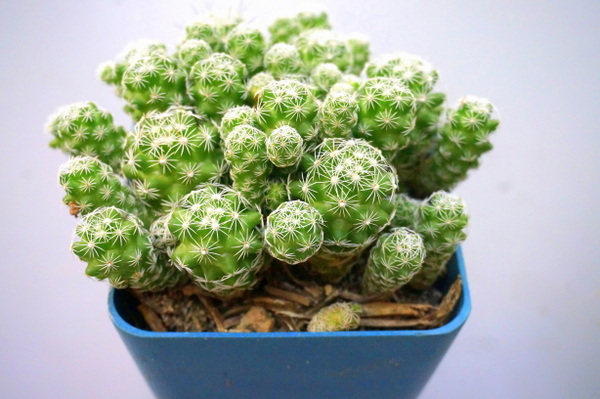 Are there simple changes you can make so your plants will flourish? Some of these changes may involve moving plants to a new location. 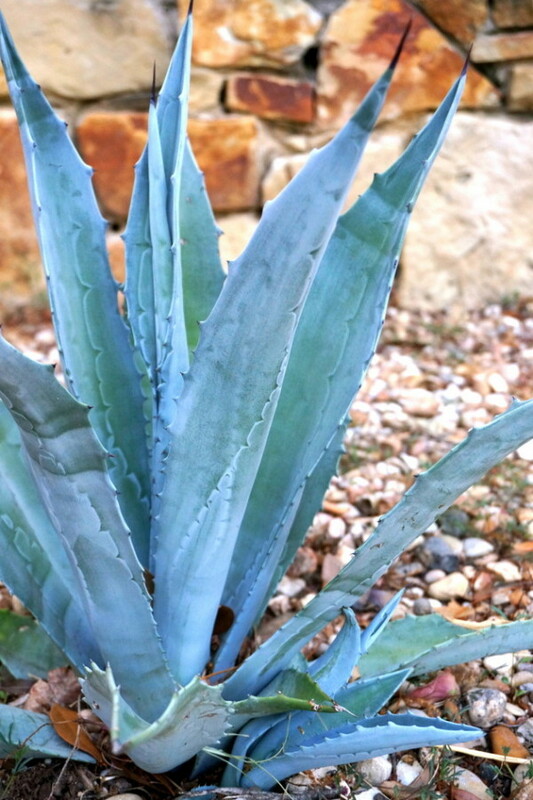 For example, if your plants are on shelves, perhaps the most sun-tolerant selections should be on the top shelf. We had a top shelf plant that clearly didn’t make it through the 100 degree days. Hey–you learn from your mistakes, right?! 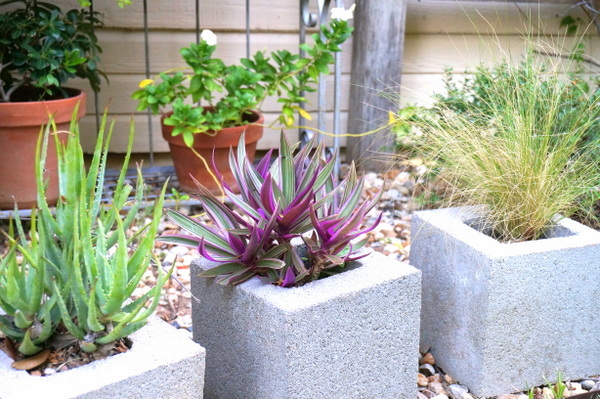 On the upside, as you can see below, the plants we’d placed in cinder blocks were flourishing in their full-sun location! You’re now aware of what needs to be done… Time to get busy! However, don’t assume that all problem areas require the need for immediate action. 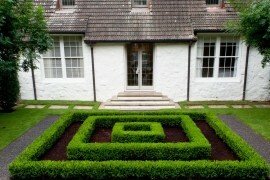 For example, our lawn is zoysia, and it will be dormant in the winter. Since it’s already the end of summer, we don’t plan on filling in any gaps or dead spots at this point. That’s what spring is for, right? However, our graveled areas were in need of some help. 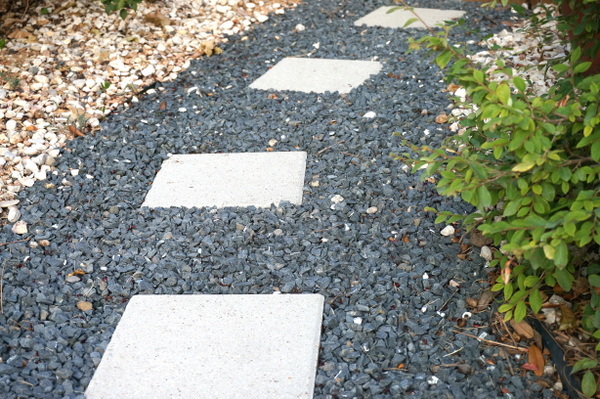 An abundance of weeds had taken hold, and some of our natural-toned pebbles had meandered onto our dark pathways filled with basalt gravel. Not a crisis at all, but a cleanup was in order. Weeding accomplished and gravel re-positioned! One of my big summer projects involved painting our large terracotta planters a deep shade of gray. 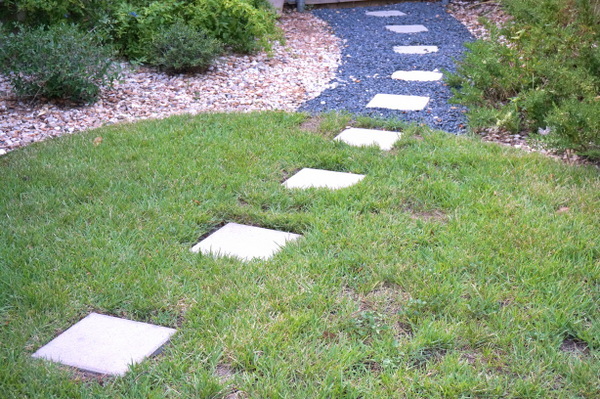 This created a modern look that was a cool-toned contrast to the plethora of beige and wooden hues in the other portions of the yard. 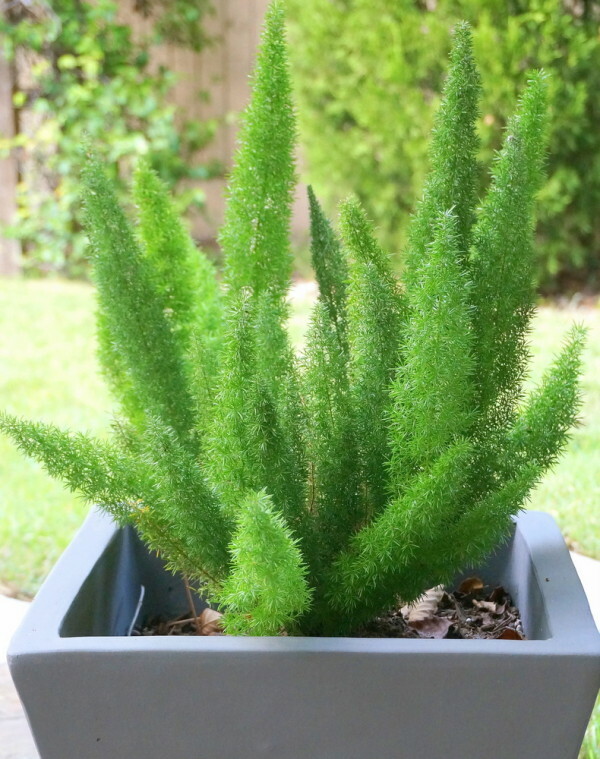 Plus, there’s nothing like a healthy foxtail fern in a sleek modern planter, right?! 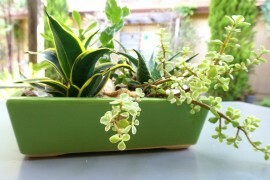 Speaking of modern planters, you may discover that some of your plants have outgrown their containers. 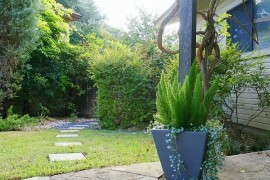 Our gray planter out front was completely hidden by an overgrown fern that was clearly in need of more container space. 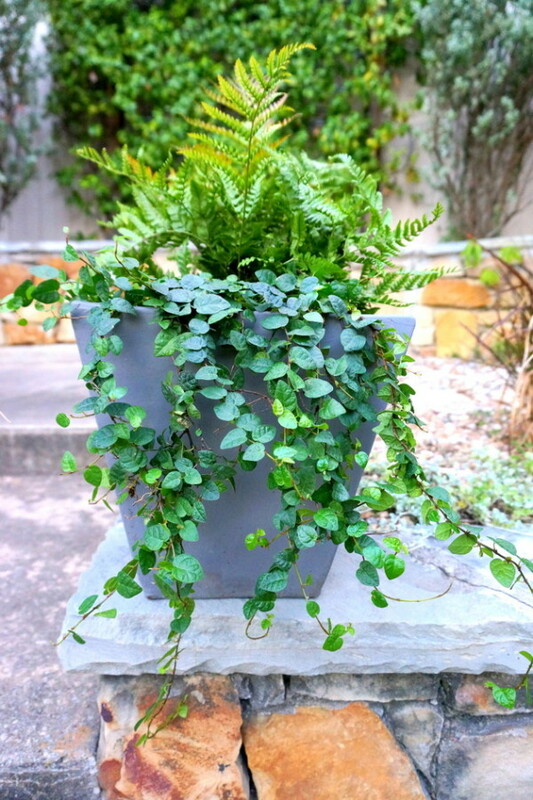 So I gently transferred it to another planter and filled the one below with an autumn fern and a cascading ground cover. 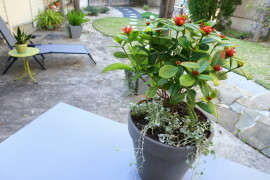 Now you can see the planter, but there’s still a “wild” look that contrasts the clean lines of the pot. 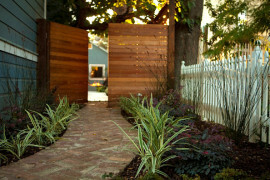 Plus, since it’s out front, it’s a great way to welcome guests to our home! 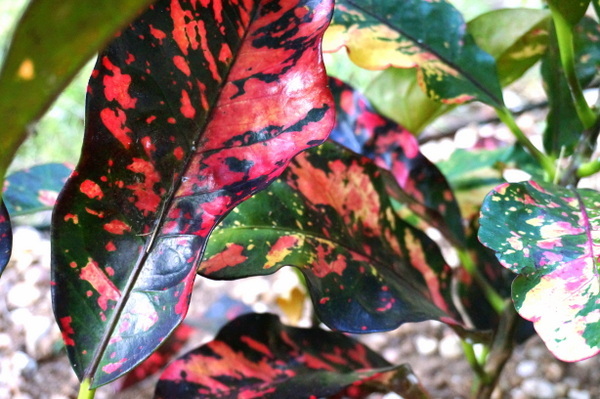 Ready for a dose of color? 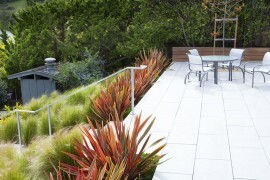 One of my favorite ways to embellish an outdoor space with bright tones is through the use of vivid potted plants. 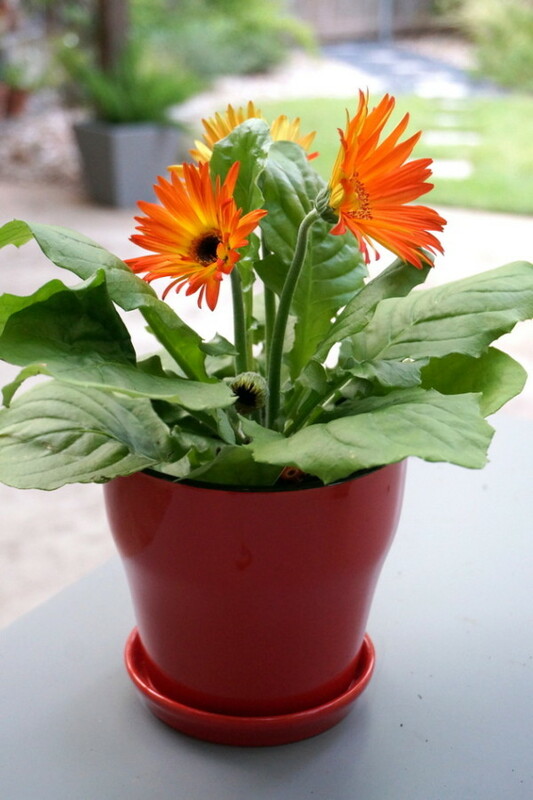 And a new season calls for a new selection… My dear friend Katherine gifted me with this beautiful red pot of gerbera daisies. The fall tones are irresistible, and the contrast of the fiery-hued blooms with the plant’s green leaves is striking, don’t you think? 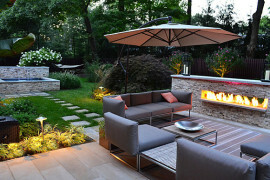 Don’t forget to give your patio the same level of attention that you give to the yard itself. 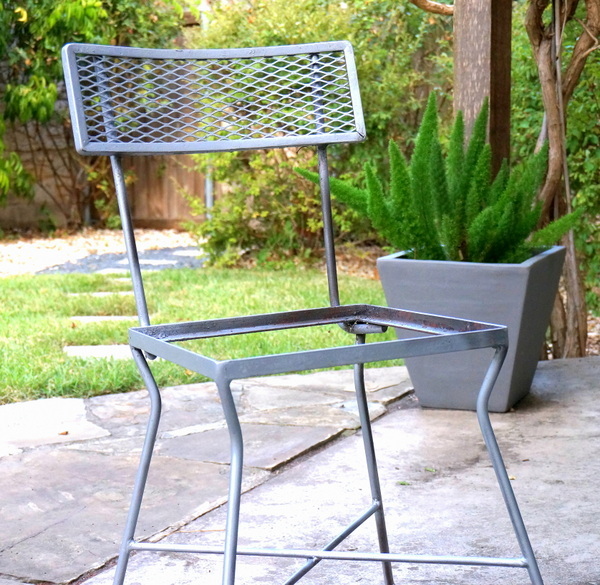 And this may involve updating your outdoor seating, especially if the past year has been hard on your chairs. Mine were definitely in need of an update. These chairs are close to my heart, as I used to sit in then as a kindergartener in my grade school library! When the chairs were later sold after some of the school’s furniture was replaced, my mom bought 8 of them–4 for me and 4 for my brother. 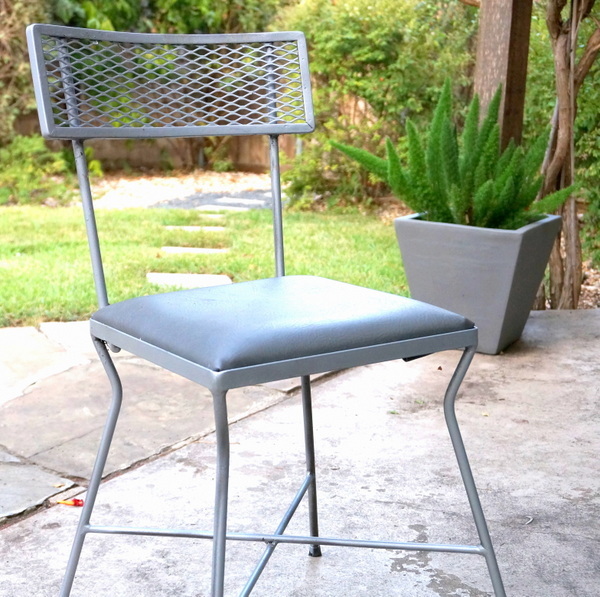 For their latest makeover, I sprayed them down with Rust-Oleum paint in a shade of matte silver. 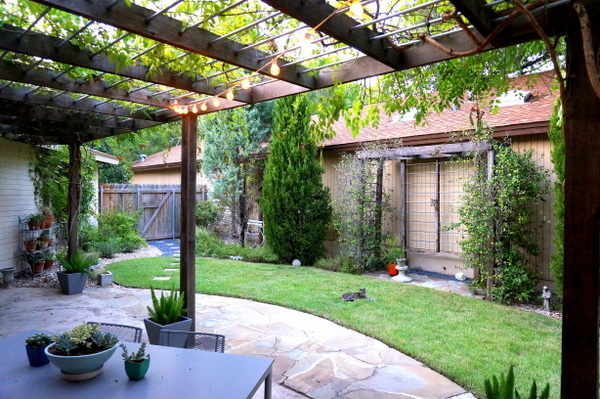 With my patio seating in better shape and the string lights hanging overhead, the yard was finally taking shape. 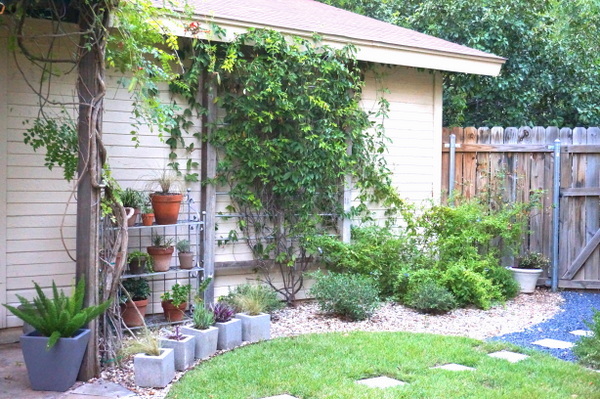 For me, preparing for fall involved giving the yard a face lift in anticipation of the many hours that will be spent outside as the weather cools down. There are still some other changes I’d love to make, but for now, everyone here is happy. Including kitty!